Commercial electrical installations are our speciality. We service the commercial industry more than any other part. 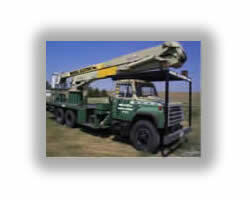 We provide fast, dependable, respectable service to any commercial company in the northeast nebraska area. These are the services that we perform regularly. If you have a special need do not hesitate to contact us. Pole bases up to 48"